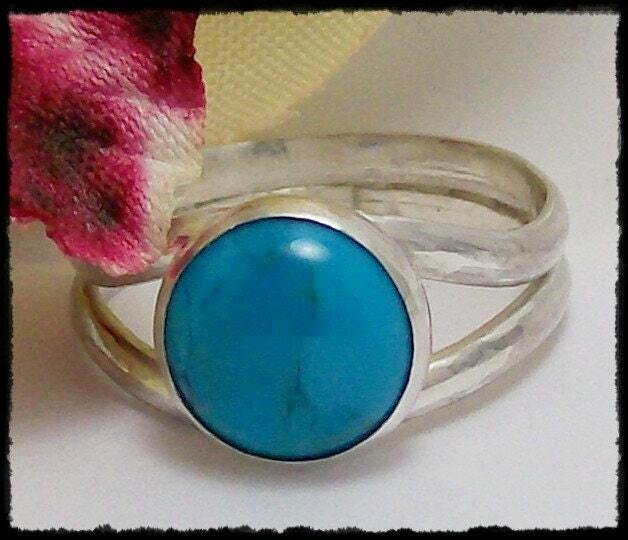 Are you looking for custom silver and copper jewelry? Does it make you feel better about shopping for yourself if you know you are also doing a good deed at the same time? Well if these things sound pleasing, I have found a perfect shop for you: Charitable Creations. Our Etsy shop this week is owned and operated by Shelly Medeiros from Massachusetts. Shelly loves creating high quality custom designs. Specializing in handmade silver jewelry, Charitable Creations offers hand stamped items that are made to order. Whether you are looking for a gift for a baby shower, Valentine's Day, birthday or just a present to remind yourself how awesome you are, there is something for you in Shelly's shop. A portion of every item you purchase will go to a charity of your choice. Whether it be St. Jude's, ASPCA or a different organization, 10% of your money spent will go to a great cause. Of course you all know I love retail therapy, but it is even better to know you are helping out someone who really needs it! Thanks Shelly for doing great things with your shop! Hand formed to a perfect custom fit, this sterling silver and turquoise stone ring will be a go to classic for many years to come. 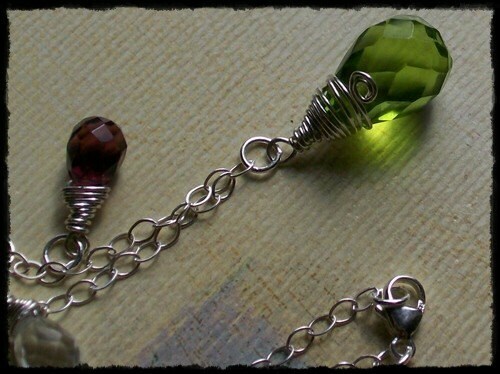 This necklace is stunning with the contrasting colors of the peridot facet, amethyst and crystal. Focused around an 18 inch sterling silver flat cable chain this is a piece that can be worn long after the fall has passed. 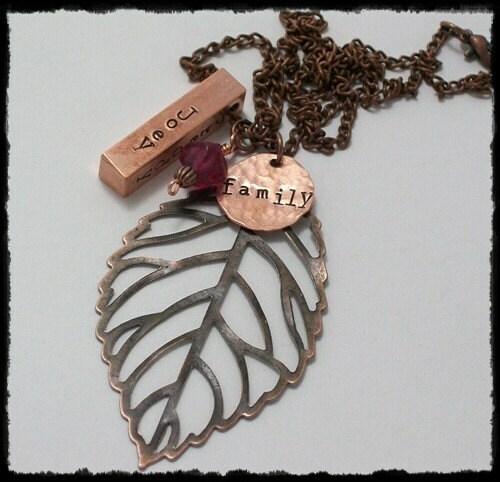 This copper necklace includes an antiqued copper leaf, a cranberry glass bead, family disk and a pure copper square bar. After purchasing this item, the copper square will be customized with the names of your choice. Joy De Vivre and Charitable Creations can do for you my wonderful blog readers! Shelly wanted to let you know that one of the lucky readers this week will win a pair of earrings of their choice! Will it be the pair featured below or one of the many others? You decide! Checking out Charitable Creations. Come back here and comment on your favorite item in the shop for one entry. You also get a bonus entry for being/becoming a follower of Joy De Vivre. Best of luck everyone! I will be doing the drawing on Saturday so be sure to check back in! An extremely talented jewelry designer! 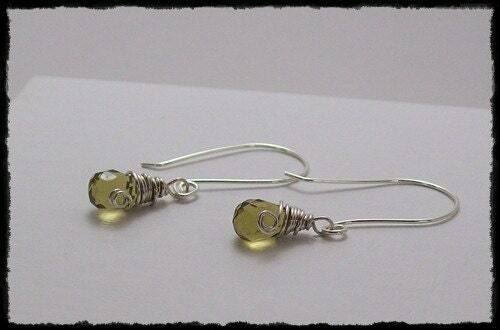 My favorites are the Pink Opal Briolette Earrings and the Green Peridot Sterling Silver earrings pictured above. I really like Pearls and Swirls! I'm not a big jewelry wearer so I tend to go for sweet and delicate instead of ginormous and showy. These would be perfect! Glad I found your blog. I will be a regular reader! I like everything and I especially love that part of my payment will go to a good cause. Awesome!